In pursuit of gourmet coffee, millions of us are willing to pay big money at Starbucks or other coffee joints every day. 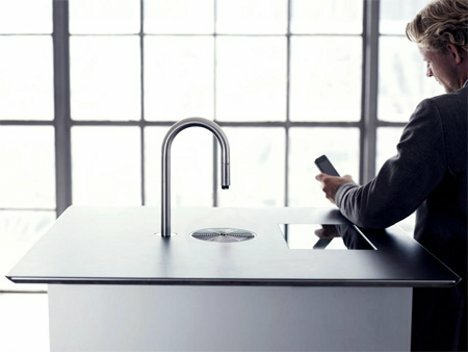 The TopBrewer built-in coffee faucet would make it so simple to prepare the perfect cup of coffee that it would be almost like pouring a glass of water. Looking nearly identical to a regular kitchen faucet, the TopBrewer is actually a high-tech coffee brewer that contains the world’s smallest milk frother. The components of the TopBrewer are all built into a counter or tabletop. An accompanying touch screen – also built into the tabletop – lets you choose exactly the type and size of drink you want with just a few taps of the finger. 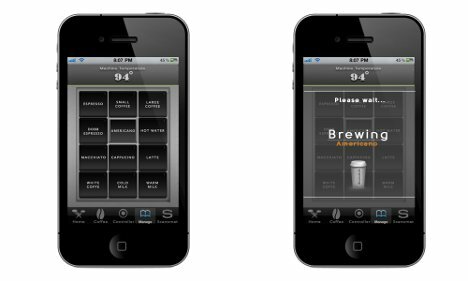 For baristas who would rather do it the high-tech way, an iPhone or iPad app can alternatively be used to select the desired drinks. The tap self-cleans after every drink so you never get unpleasant flavor blends. In a few seconds, the machine brews the perfect espresso, cappuccino, latte, macchiato or whatever else you can dream up. 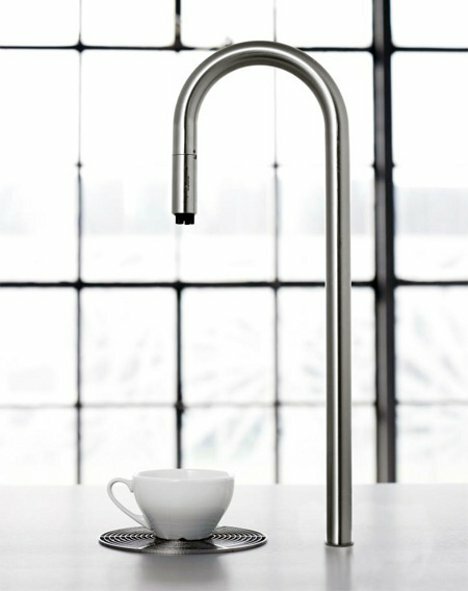 The tap also provides cold milk or water, hot water for tea, or steam for blanching vegetables – all from the utterly stylish stainless steel faucet.